The National Book League was a precursor to the current Booktrust, and was set up in 1924 by the Society of Bookmen in order to promote reading, particularly among the young. To that end, the NBL issued Reader's Guides on a variety of subjects, each written by an author with expertise in that field and containing an annotated bibliography of recommended titles on the subject. 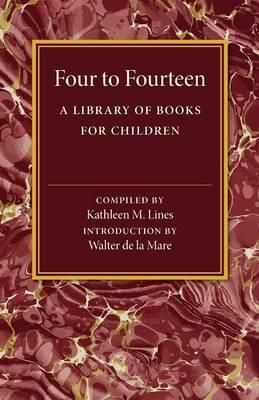 First published in 1956 as the second edition of a 1950 original, this book contains a list of children's books suitable for children from infancy until the early teens. Lines divides the books by topic and type, including books to read aloud, historical stories, scientific books and books on art and architecture. This book will be of value to anyone with an interest in the history of children's literature.